The cool, professorial Barack Obama may not be the most natural politician to espouse a populist message. And being the incumbent doesn’t help: Rhetoric that makes voters feel more aggrieved about their current condition isn’t likely to win him any votes. But Obama can still run on a populist platform. In fact, he has to. Not because it’s the best way to argue for his agenda—because it’s the best way to bash his opponent, Mitt Romney. It’s fitting that most of the discussions of the advantages and pitfalls of populism for Obama are focused on rhetoric. On a policy level, a sitting president has a relatively limited window for populist agenda items. Obama has supported a tax surcharge on the very wealthy, tax penalties on companies outsourcing jobs, greater regulation of banks and insurance companies—these all command strong popular support in the general electorate. But there are some populist positions that Obama simply can’t assume without the kind of reversal of positions that a vulnerable incumbent is not about to undertake. Obama is not going to say TARP (or his implementation of it) was a mistake; that Treasury Secretary Tim Geithner is a corporate stooge; that economic globalization needs to be resisted by every possible means; or that private health insurance ought to be abolished. Kabaservice associates Obama with John F. Kennedy’s “cool,” but an identically privileged background did not prevent JFK’s two brothers from striking populist notes. On one occasion in 1968, Robert F. Kennedy was speaking to a medical school audience about the need for better health care for the poor, and one of the future physicians asked him sarcastically where he expected to get the money for such social luxuries; without hesitation Kennedy responded, “From you.” As RFK showed, it’s possible to combine populist heat with the progressive light of a “common national purpose” message. 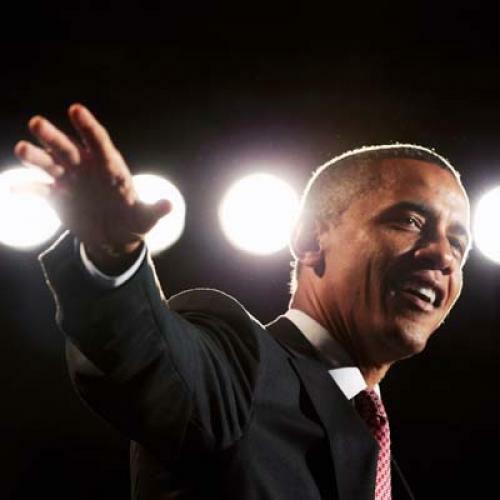 In fact, a more populist tone is not only possible for Obama, it’s essential. While voters may hold him primarily responsible for the economy, they will judge his performance based on their sense of the trouble he inherited from Bush and the resistance he’s facing from Bush’s party. That means, to use the all-purpose terms devised by Democratic wordsmith Bob Shrum, Obama has to convince the electorate that he’s been “fighting for you” and is “on your side” against the policies of a party beholden to sinister rent-seeking corporate actors. Most importantly, Obama badly needs to make sure this is a “choice election,” and not a referendum on Obama’s first term. That means he needs to run on Mitt Romney’s flaws, and not only on his own accomplishments. And because of Romney’s own background and economic agenda, a populist message is the best way to do that. Romney is running almost entirely on his reputation as a corporate wizard; his economic policy platform is about liberating “job creators” from taxes and oversight; and he has embraced the Ryan Budget, a domestic policy blueprint that aims at a government-engineered redistribution of resources from the bottom to the top of the income ladder. If Obama does not draw attention to the obvious class nature of Romney’s background, agenda, allies, and beneficiaries, then he is in danger of letting Romney get away with the suggestion that he’s simply offering an alternative path to full economic recovery—not a path for the wealthy to acquire more wealth. For Obama to represent the national interest and the welfare of the broad middle-class, as those fearing a populist approach so often suggest, he’s going to have to establish that Mitt Romney is a creature of moneyed special interests. And like it or not, that means Obama must wage rhetorical battle against America’s elite. That’s not to say that the President will have to model himself on William Jennings Bryan; for the purposes of this election, RFK would suffice.